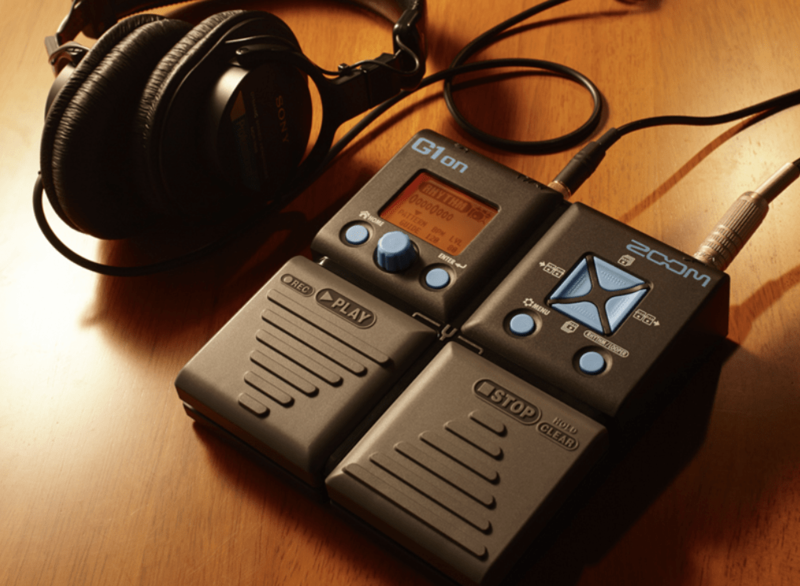 Review: Zoom G1Xon - is it the best effects pedal? Home / Electronics / Review: Zoom G1Xon – is it the best effects pedal for beginners? Review: Zoom G1Xon – is it the best effects pedal for beginners? Back when I was a baby guitarist, I had a phenomenal little multi-effects box called a Zoom GFX707. It was cheap, and it opened up my playing to an exciting range of sounds. Obviously, as time went by, my ears became better trained, and I grew up and got a job, I had more money for better gear, I got rid of that little box. The contemporary iteration of the 707 is the G1Xon, so I was keen to review it, just to see what had developed and changed in beginner multi-effects in twenty or so years. Looking through what this little grey box contains, it certainly isn’t short on the quantity of effects. To be honest, when you’re a new guitarist, and you’re reading all these magazines about the various effects your heroes use, but being a long way from being able to afford them, it’s the quantity that’s going to be a big attraction. You can save yourself $20 by getting one with that expression pedal on the end, but when the cost is this low anyway, I don’t know why anybody would cut themselves off from even more effects. It’s difficult to say anything too complimentary about the parts, because the bottom line is that at this price, it’s a plastic box, and not even the most rugged or durable of plastics. What can you do? It goes back to who this is aimed at, and that’s bedroom guitarists, not Kirk Hammett on a world tour. Plastic aside, the G1Xon’s most prominent part is its expression pedal, perched at the right hand side. This has a number of functions, controlling the wah effect being the most obvious, but it can also be used to adjust the speed of modulation effects in real time. If the pedal isn’t set to a wah or modulation effect, it can be used as a volume pedal. At the front of the box, closest to your feet, there are two footswitches. It’s likely that there are some actual sturdy metal footswitches under there, so I’m not quite sure why they’ve covered them in even more plastic casing. Let’s take a look at the back panel. It’s all completely standard stuff: an input for your guitar; and output for your amp or headphones; your mains connector; and a mini jack plug input for hooking up an MP3 player or phone for you to jam along to. It also has a mini USB port for updating firmware – that definitely wasn’t a thing on my old 707! A backlit LCD screen on the top will show you what you’re doing. Being as the G1Xon is predominantly a plastic case with a bunch of electronics inside, there’s not to much to elaborate on in terms of construction – the construction is the parts, if that makes sense? I gave it a bit of a shake just to see if anything was rattling that might make me worried, but there was nothing. I guess that means it’s all held together pretty well inside? Thinking about the pedal’s design, everything is where it logically should be. I would say the main thing to think about with its construction, is who is actually going to use this pedal. For bedroom guitarists, they’ll mostly be keeping it right there, in the bedroom. That’s not to say it won’t need taking care of in a bedroom either – if it got an enthusiastic, bordering on aggressive stomp, I’m not convinced it would survive. If you don’t believe me, go to a guitar store, and take a G1Xon in one hand, and any stomp box made by BOSS in the other, and you’ll see what I mean. I don’t want it to sound as if using this pedal is going to be like stamping on a puppy, but it is important to be mindful of its intended use, and that’s for experimenting, and developing an ear for the different types of effects, and where and how to apply them. Between amps and effects, I don’t have the time to go through everything the G1Xon could potentially do. I’ll try and present some highlights to give an idea of what it could lead to. For this review, I was using a single coil guitar, through a British-style, 30 watt, all valve amp. The EQ settings on the amp were: bass at four, and middle and treble both at six. I kept it on the clean channel throughout. This would allow me to better assess the effects e.g. how much drive did the overdrive effects give etc. There are four groups of effects: overdrive/distortion; dynamics/filter; modulation; and delay/reverb. You can scroll through the effects using the two front pedals: one going up, the other going down. You can tweak the parameters of the effects with the additional buttons and knobs on the top of the pedal, working with the LCD screen to tell you what you’re doing. The effects are OK. Like, they’ll be fine for who this is aimed at. A lot of the sounds are inspired by actual legendary pedals like the Big Muff and the Tube Screamer. But these pedals cost more than what this multi-effects does, and they’re not digital. Whatever inspirations Zoom use in effect descriptions, ‘inspire’ is where the line is drawn. The thing about a multi-effects unit like the the G1Xon, is that the only limitation to its playability is the user’s imagination. That’s literally the corniest thing I’ve ever written in a review, but it’s just true. A cool thing for beginner guitarists who are starting out in their bedroom, getting themselves ready before they join a band, is the built-in drum machine. Don’t get me wrong, no more than the amp simulations, they sound nothing like a real drum kit, and it depends on what’s going on with your amp e.g. if you’re on a dirty amp channel, you’ll get a dirty drums sound, and that’s just weird. Nevertheless, if our bedroom guitarist’s ambition is to join a band later down the line, experimenting and playing along with that drum machine could make a great difference in getting them used to playing with other musicians, and working on their timing. It’s safe to say that expectations were met with the G1Xon. It’s a worthy successor to the GFX707, and I’m sure today’s bedroom guitarists will get as much use out of this contemporary equivalent. I feel like I can’t reiterate enough times how delicate it is as a piece of kit though, but there’ll be a difference in a beginner carefully going through examining each sound, than a professional guitarist confidently jumping on one. In saying that, look after it, and it probably last most of forever. There’s certainly no end to the amount of exploration you can do.